Remain in Hong Kong Under an Employment Visa Sponsored by an ex-Employer - Can? 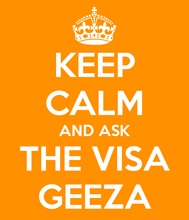 Remain in Hong Kong under an Employment Visa sponsored by an ex-Employer? I have been in Hong Kong since 2011 under an employment visa but have recently quit my job. The last time my visa was renewed it was extended until November 2018 and I understand I still have the privilege to reside in Hong Kong until then even if my employment has ended. I now have a consultancy agreement with a firm based in Singapore for which I provide services independently. The fieldwork (which represents 80% of the work) takes place outside of Hong Kong, I only write up my reports from home in Hong Kong. I have registered a sole proprietorship business to report the consultancy income for tax purposes. However, I guess I am not supposed to work under the current conditions of my stay. (1) Could the fact of reporting that income to the tax authorities actually trigger some issues on the immigration side? (2) If I was to apply for a business investment visa as an entrepreneur and it was rejected, could that trigger the Immigration Department to cancel my current permission of stay until November 2018? What is in your opinion the best thing to do?